Gerry Visits Germany, September 2016. And with time and opportunity  my bike tour having been canceled - down to Potsdamer Platz, and the Arkaden shops next to the Marlene Dietrich Platz. 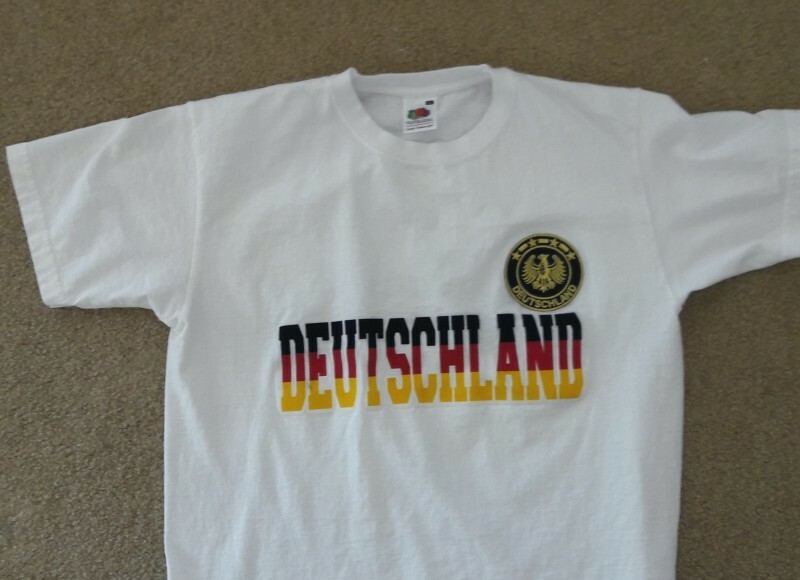 Where I found my trophy: a t-shirt with only Deutschland written on it, and the Wappen (emblem) of the national football team ("Die Elf").